Powder coating is an advanced method of applying a decorative and protective finish to a wide range of materials and products that are used by both industrial and consumer markets. Introduced to North America almost forty years ago, powder coating is the fastest growing finishing technology, representing over ten percent of all industrial finishing applications. We invite you at any time to call us at (864) 573-1080 if you have products that need finishing - no job is too small or too big. Our customer service is unmatched! Powder coating is a dry finishing process that uses a powder composed of finely ground particles of pigment and resin that is sprayed onto a surface to be coated. The parts to be coated are electrically grounded so that the charged powder particles propelled at them cling to the parts and are held there until melted and fused into a smooth coating in a curing oven. The result is a uniform, durable, high quality, environmentally safe, and attractive finish. Powder coatings arrive at a plant ready for immediate use. Liquid paints require additional pre-mixing, stirring, etc. Finish quality variations are minimized. With powder, the absence of extra mixing means less process and variation and better control over finish quality. Powders can be formulated to provide a wide range of melt viscosities, and can be applied over a wide range of film thickness. Therefore, powder can provide better edge coverage protection than can be achieved in single-coat liquid coating applications. Powder coated surfaces are more resistant to chipping, corrosion, scratching, fading, and wearing than other finishes. 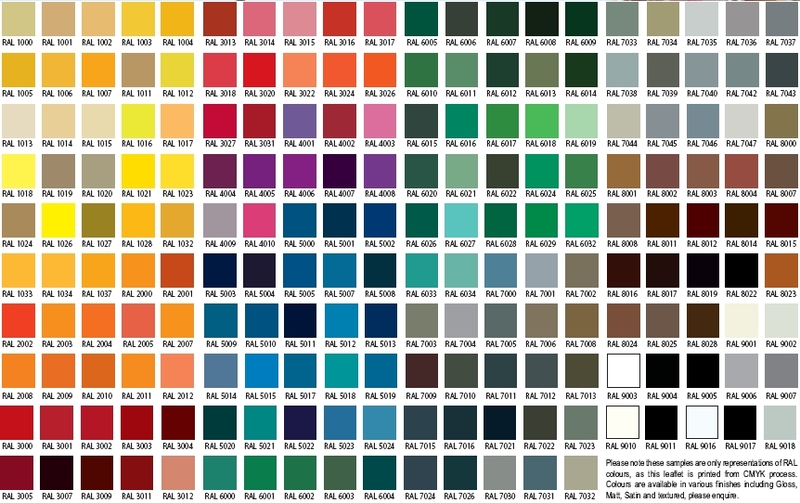 Colors stay bright and vibrant longer, color selection is virtually limitless with high and low gloss, metallic, and clear finishes available. Powder coat texture selections range from smooth surfaces to a wrinkled or matte finish, and rough textures for hiding surface imperfections. While liquid finishes contain solvents that have pollutants known as volative organic compounds (VOC's), powder coating contains no solvents and releases negligible amounts of VOC's, if any, into Earth's atmosphere. Unused or over-sprayed powder can be recovered. Any waste from powder coating is minimal and can be disposed of easily and safely. The elimination of VOCs and reduction of waste saves money and helps companies come into compliance more easily and economically with EPA regulations. One major element in expanding the market for powder coating was the implementation of stringent air pollution control over the past thirty years. Compliance with state and federal regulations is much easier with powder coating than other finishes. Ready to try Carolina FabCoat? Call us at (864) 573-1080 today! View our Contact page for more information. How does powder coating save the planet? Can the powder be recycled? Yes. In almost all powder systems, overspray (which misses the parts to be coated)is captured and returned to the feed hopper for re-use. This recycle feature can provide overall material utilization in excess of 95% versus much lower percentages for liquid spray systems. 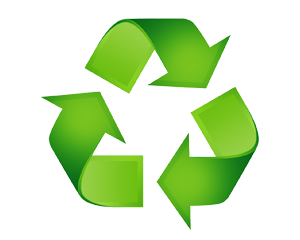 In addition to material savings, the recycle feature also minimizes waste and, therefore, greatly reduces waste disposal costs as well as potential harm to the environment. What are the environmental advantages for using powder coating versus liquid painting? Powder is the environmentally friendly coating material now and for the future. Most powder coating formulations contain no VOC's, no HAP's and are not considered “Hazardous Waste”. When powder coating's reclaim or recycle feature is utilized, there is very little waste of any kind generated. The combination of these factors can dramatically reduce the costs associated with environmental compliance of a finishing system. Disposal costs for liquid paint over-spray have increased significantly and are projected to increase at an even faster rate in the future. How safe is powder coating? Since powder is 100% solid material, there are no solvent-type vapors released in the spray room and into the atmosphere. It is more environmentally friendly to the people applying the material. Spills are easily swept up or vacuumed. Cleaning clothes, skin, and equipment is greatly simplified with powder.